Prime rib, steaks and seafood. Sumptuous dining in a pastoral setting. Prime rib, steaks and seafood. 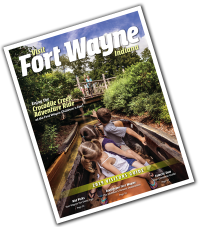 Sumptuous dining in a pastoral setting,an experience as grand and serene as the swans on the lake ... Triangle Park is a beautiful bit of country on Fort Wayne's northeast side.